SSC 10th Public Exams Time Table 2017-18 Download. The BSE AP has released the SSC Public Exams 10th Class Public Exams Time Table going to be held in the month of March 2018. 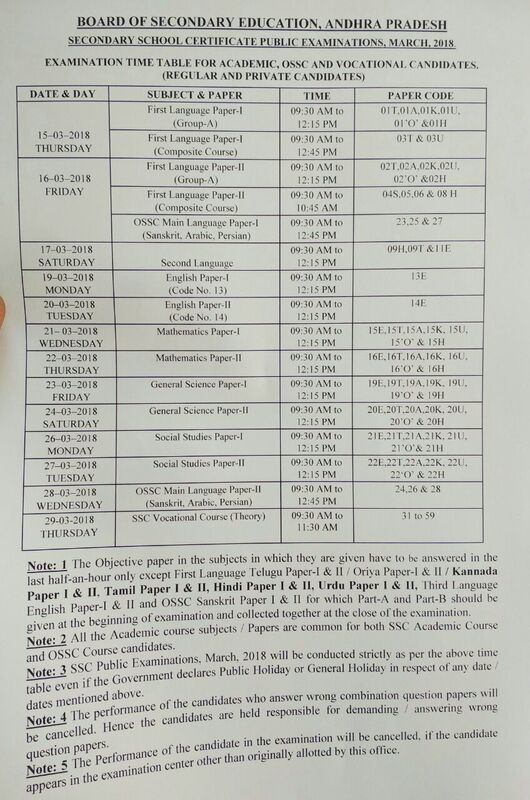 SSC 10th Public Exams will start from 15th March 2018 and continues up to 29th Mar 2018. Hi, I am Riya, First of all Thanks for sharing SSC Public Exams Time Table. Can you please share the Start date of NEET Application Form 2018?